Way back in October, I wrote a welcome back to Barbie. The ad campaign was pure genius and showed Barbie as a powerful figure for girls to look up to. The were slowly trying to eliminate the idea that to love Barbie you had to mold yourself to her unrealistic set of body standards. 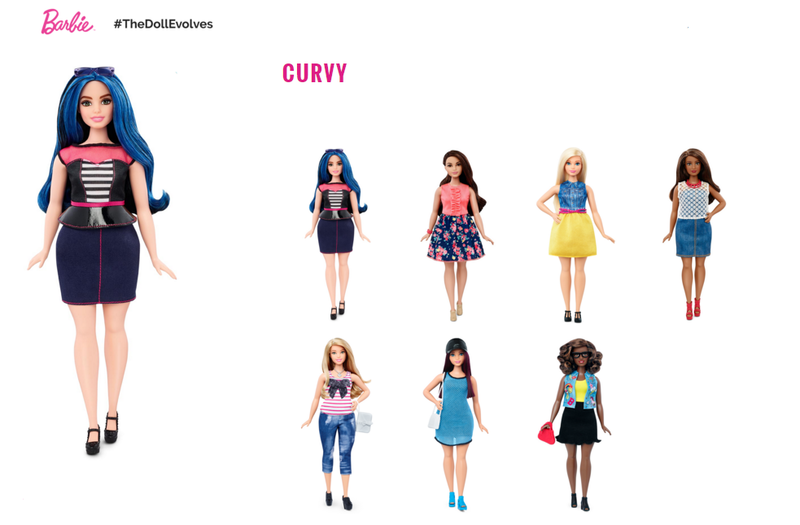 Barbie has released 3 new body designs now! Cue my happy dance... for a ... get ready for it... CURVY BARBIE!! A doll with hips and a booty-- a doll who looks like me. I'm not looking to start a fight on the acceptance of obesity in our society; instead I'm going to get excited that my 4 year old can see various bodies all be acceptable for her dolls. Barbie also released their petite and tall dolls. They are adorable little fashionistas and I'm excited to add a few to my daughters collection, although I wonder how complicated it will get buying outfits for them all... will their outfits be exclusive to their size? You can preorder the dolls here! Will you be adding a few new body types to your collection? It's no secret that I'm a huge Lilly Pulitzer fan. And while I didn't shop this month's After Party Sale, I am having some major print envy with their three newest releases so I'll be spend happy during the August sale! While I love Lilly, there are lots of prints that I like but will never own. Some are simply too bright for my job and personality. I have no desire to walk around work with flamingos sprayed across my chest. Neon pink and orange are not my thing, I stick to kelly greens, blues and lilacs so imagine my excitement when I saw that the three new prints were all on a bluish purple background! Unlike some of the brighter, more obvious prints, these are so perfect for the spring and look almost floral. I may break my rule of online discount Lilly and buy these right off the rack so I don't miss out on them! Which is your favorite? Discloser: I was provided Num Noms to facilitate my review. All opinions are my own. I don't know about your kids but my daughter is obsessed with little blind bag type trinkets. She loves watching Youtube videos of unboxings and is always working on her "fa-lections". Right now, her favorite collection is her collection of Num Noms. Have you seen them? They're adorable. Num Noms are these adorable little collectible toys and each uniquely scented. 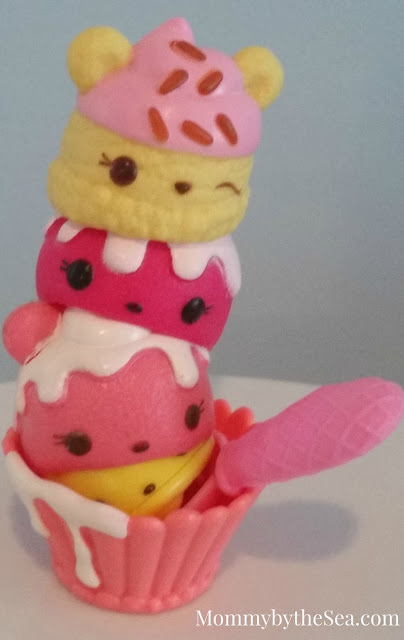 They can be stacked to create more than 1000 customized scent fusions, such as Raspberry Cream-Banana Go-Go and Peachy Choco Gloss. Emma is partialr to "Strawberry-Banana-Banilla"! Nums can be piled high for even wackier combinations. They can also be raced against each other, or traded with friends. You can purchase Num Noms now at Toys R Us or on Amazon and they come in lots of different Starter Packs to get your collection up and running! With over 60 different flavors in stores, you are sure to have a fun time finding them all! Mystery Pack includes 1 Num, 1 lip gloss Nom, and 1 collector’s menu. Cupcake Starter Packs come in 3 flavors – Sour Citrus Cupcake, Triple Berry Cupcake, and Special Edition Confetti Surprise Cupcake. Includes 3 Nums, 1 motorized Nom, 1 spoon, 1 ice cream cone or bowl, and 1 collector’s menu. Ice Cream Starter Packs come in 3 flavors – Neapolitan Ice Cream, Tutti Frutti Ice Cream, and Banana Split Ice Cream. 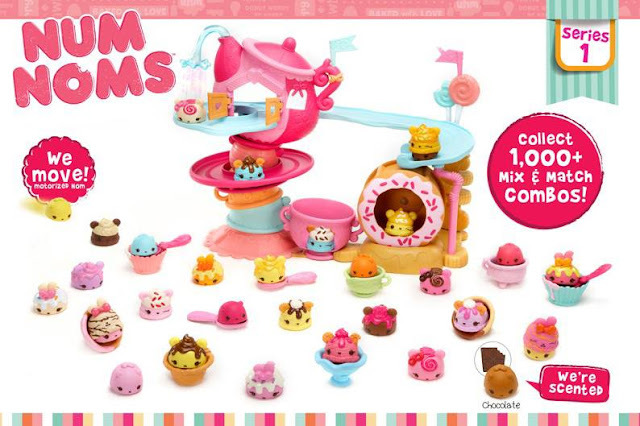 Includes 6 Nums, 2 motorized Noms, 1 ice cream cone or bowl, 1 accessory, and 1 collector’s menu. 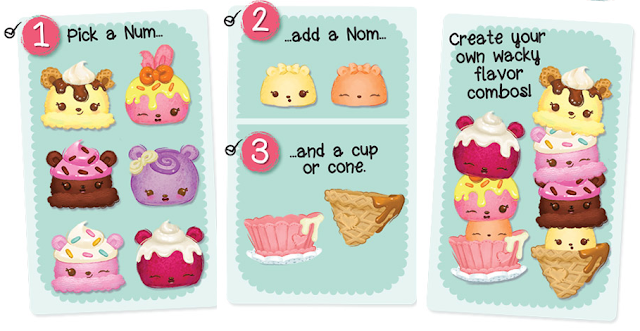 The Cupcake Party Pack includes 6 Nums, 2 motorized Noms, 1 spoon, 1 cupcake liner, and 1 collector’s menu. The Ice Cream Sundae Sampler Pack includes 6 Nums, 2 motorized Noms, 1 spoon, 1 ice cream cone, and 1 collector’s menu. 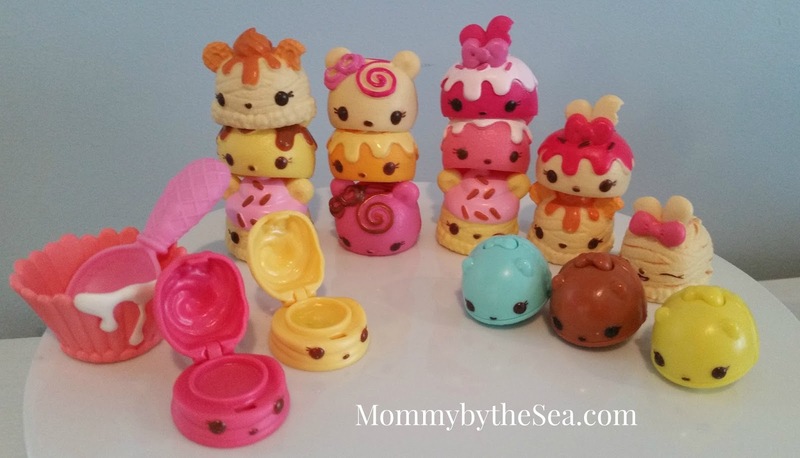 The Go-Go Café Playset is the perfect home for the Num Noms. Includes playset, 1 exclusive Num, 1 exclusive motorized Nom, and 1 collector’s menu. 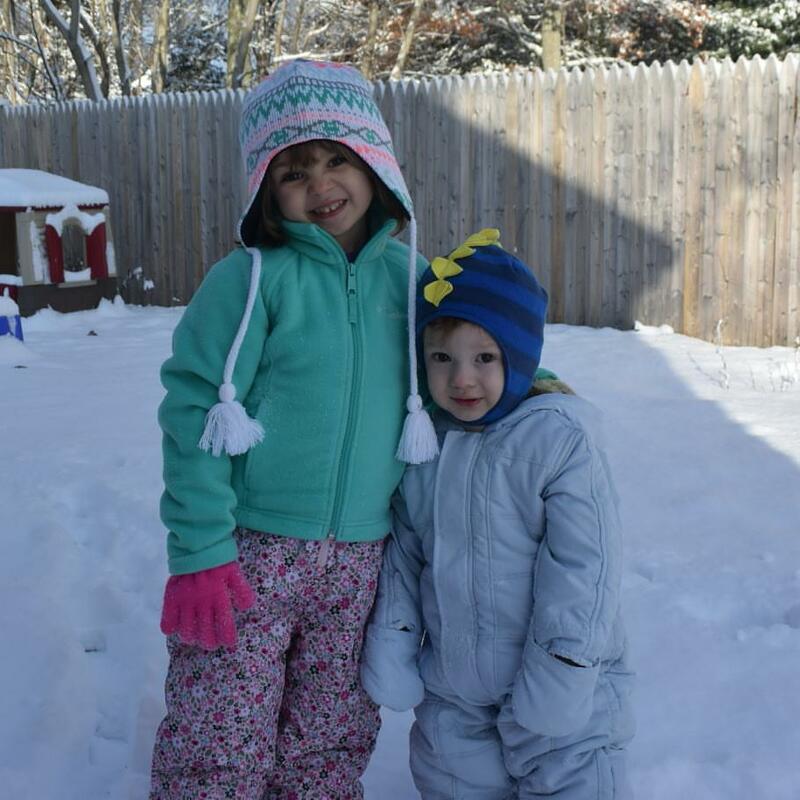 Aren't they just the cutest? Check them out on their website, Facebook, Twitter, Youtube and Instagram and let me know which Starter Pack is your favorite! 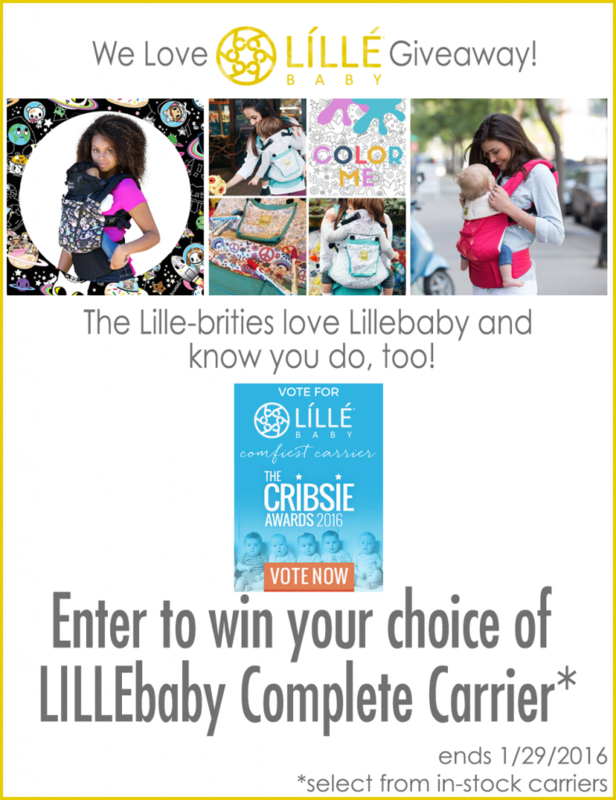 It's no secret that I'm obsessed with LÍLLÉbaby carriers and in honor of LÍLLÉbaby being nominated for a 2016 Cribsie Awards a group of us are giving away a LÍLLÉbaby Carrier of your choice! 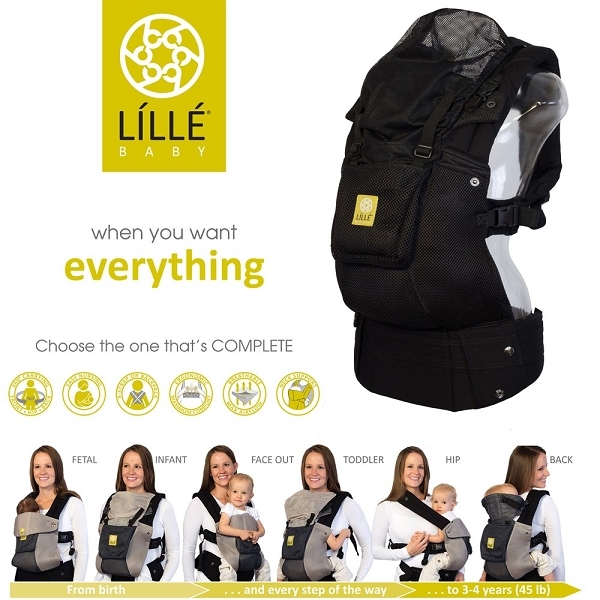 This means that you can choose any (in stock) LÍLLÉbaby carrier style and print/color of your choice. You can choose from Tokidoki prints, Elephant Party, Frosted Rose, Embossed, Essentials- plus any new releases between now and January 29th! Did you miss all my amazing info on LILLEbaby before? 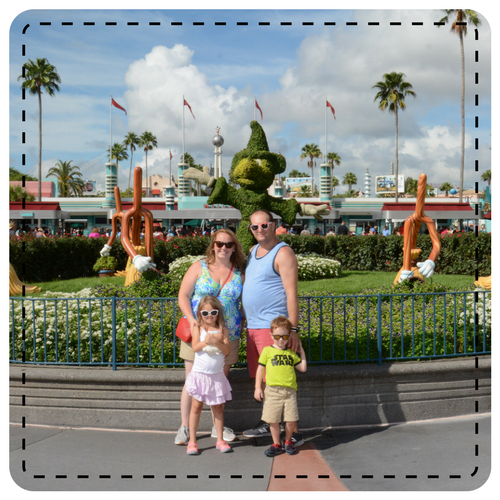 Check out my post on the Essentials! You can also follow me on Instagram to see all of our adventures with our Lillebaby carriers! I'm bring cliche and finally beginning to work on myself. I've always done little pieces but nothing consistent and nothing at the same time. I've always found excuses to stop or I just didn't care enough. I still don't really care but with the kids being older and my schedule a bit more determined, I can stop making some of my excuses. I want to document how it's going. Hopefully the posting will keep me consistent and going. In the first week, I started meal prepping. I've meal planned for a while but was always lacking the prep step. Last Sunday, after fully restocking all of our cabinets, I prepped for the week. We have a family rule that if you don't like what's for dinner, you get a peanut butter sandwich. I don't cook multiple meals for one dinner and I felt like I needed to follow my own rule. All the dinners we make, okay- most of the dinners, are "good" dinners, protein, veggies, light on the starch. Dinner is our best meal because it's what I have been planning for so long. Breakfasts were getting better. Better choices in cereal and using Herbalife shakes instead of sugary cereal or the Dunkins drive through. Just buy prepping, cutting out the snacks and focusing on what I was eating, I lost 5 lbs last week. My replacement Fitbit arrives tomorrow and I just received my Simply Fit board in the mail so here's hoping more progress happens this week!